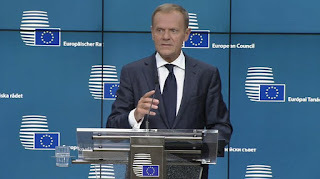 European Council President Donald Tusk said the proposal was "below our expectations" and needed more detail. 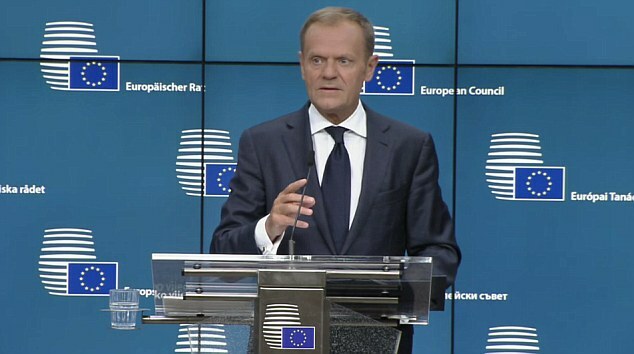 He said the EU wanted to secure the "full rights" of all its citizens and British expats on the continent. 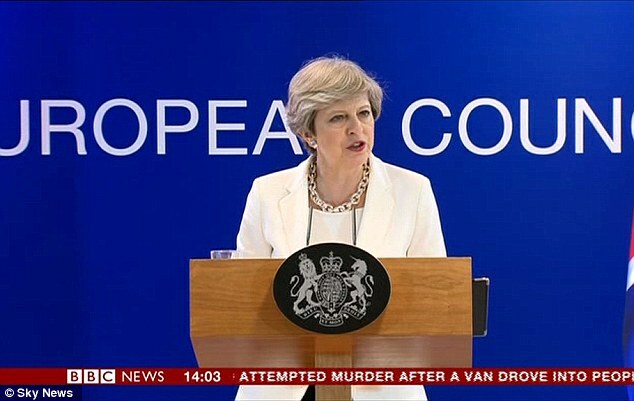 Theresa May said there were differences between the two sides but the UK was giving a "fair and serious" guarantee. In response to claims by the former chancellor George Osborne, in an article for the Evening Standard, that she had "blocked" calls for the UK to offer a unilateral guarantee of rights in the aftermath of last year's referendum, she said that was "certainly not my recollection" of events. 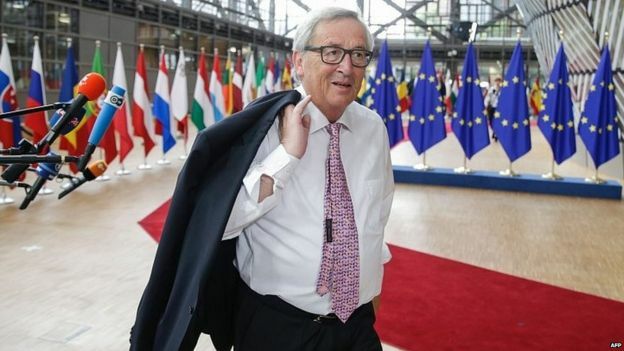 Both the UK and the rest of the EU say they want to come to an arrangement to secure the status of the 3.2 million EU citizens in the UK and the estimated 1.2 million Britons living in EU countries on a reciprocal basis. Under plans announced on Thursday by Mrs May, the UK envisages giving all EU citizens the right to stay after the UK's exit - due on 30 March 2019 - and granting those resident for at the least five years the same rights to welfare, pensions and education as UK citizens.